Expert advice at roulette, slots, or craps is about equivalent to expert advice on how to hold up your local liquor store. It just doesn’t work! Lets look at what the typical casino visitor loses at various games. Slots: The typical casino slots player spins the slot machine reels about once every five seconds. This is equivalent to 720 spins per hour at an average of more than two coins per spin. The total number of coins the gambler places into the slot machines each hour is over 1440. A conservative estimate of disadvantage of five percent means the average loss is 72 coins per hour. Roulette: Roulette players lose an average of about five percent of their action also. $5.00 for every $100 bet. That can sure get costly over a couple hours of play. But did you know that the way the bets are placed at roulette effects the chances of reaching a goal. Though you can never put the odds in your favor, as you can in blackjack, there are ways, by strategically betting, of increasing your chances of reaching a win. Should you bet a number or color? Betting on a single number with a 35:1 payoff, as opposed to an even money bet like red or black, will greatly improve your chances of reaching a win goal. If you start out with 17 dollars for example and want to double your money by betting on an even money bet one dollar at a time your chances of losing all 17 dollars before reaching your goal of doubling is about 85%. This number is quite large, 85 times out a hundred you will lose all 17 dollars. Betting on a single number, with a payoff of 35:1 requires only one win to reach your goal. The chances of hitting the number at least once in 17 tries is about .36, about 36 times in every hundred plays. Betting on a single number as opposed to the red or black, increases your chances of doubling the stake from about 15 out of a hundred to about 36 out of a hundred. Still, not a game that you should be interested in playing. Even though your chances have been more than doubled, the casino still has a big edge. Craps: The worlds best craps bettor has a 1.4% playing disadvantage. The more he plays, the more action he places on the table and the surer he is going to lose. No betting system known to man will ultimately allow this gambler to win. There are betting systems such as the double up as you lose system which will give the gambler a high probability of a small win, but this win is dominated by the infrequent large loss. Blackjack: It has been estimated the public’s rate of losing at blackjack at between two and fifteen percent. The typical player sitting at a ten dollar table will probably bet from ten to fifty dollars. A fast dealer can deal 100 hands per hour. The player bets about $2000 during an hour and will probably lose about $100. What a way to have a good time. 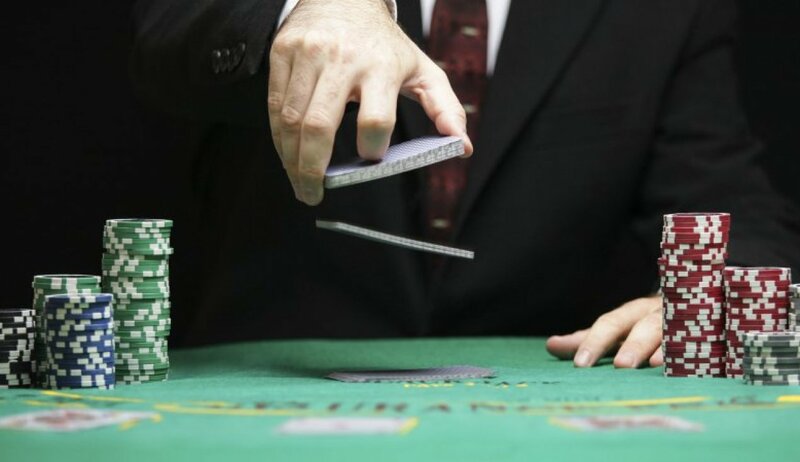 At least in blackjack you can put the odds in your favor through study and practice. This is because during the course of the game the odds change as cards are removed from the pack. What will occur depends on what has occurred. For example if you know that many aces and tens remain to be played, you know your chances of receiving a blackjack have increased, your chances of winning your double downs have increased and the chances of a dealer hitting and busting have increased. Blackjack remembers what happens from round to round in the sense that the plays from one hand to the next effect the outcome of the next round. In blackjack inferior play is punished and superior play characterized by knowledge of the game is rewarded. 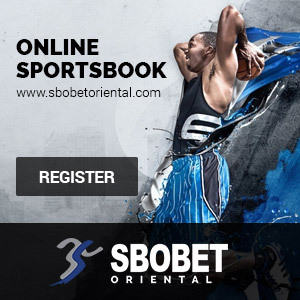 When playing at a game where you are the underdog, betting systems have no affect on the eventual outcome of the game, you lose, but they do affect the expected duration of the game. The probability of increasing the bank to a specified level is also affected as in the roulette example above. The concept of fairness or equity falsely leads some people to believe that if a fair coin is tossed and lands on heads seven times in a row, it is more likely to land on tails. Do you think it makes a difference? The coin doesn’t know its’ history. Yet it is this fallacious reasoning which leads to the invention of betting systems, systems which tell you to bet on red when black has come up, or vice versa. Most popular betting systems are either of the type up as you win or up as you lose. Depending on the method of determining the next bet in the sequence, most systems can be categorized as being multiplicative, additive, or linear. None of these systems work. Martingale: This is one of the most widely used systems of betting. The betting strategy, multiplicative in nature, requires the gambler to double his bet after each loss until he wins, then he starts over. For example, suppose the gamble is at roulette. The gambler bets one dollar and loses, bets two and loses, bets four and loses, bets eight and wins. The total won is one dollar (the loss was 1+2+4=7). With this betting system there is a high probability of winning a small amount (1 dollar) and a small probability of losing a great amount. The chance of the roulette ball not landing on red is 20/38. The chance of not landing on red twice in a row is (20/38) x (20/38) = 100/361. The chance of not landing on red three times in a row is (100/361) x (20/38) = 1000/6859. The chance that you have to make the fourth bet of sixteen dollars is just under 1/7. How long can this go on? Casinos have betting limits at the various games. How many losses would you have to incur, betting on red at roulette before the limit prevented you from doubling once again? If the roulette ball failed to land on red for thirteen times, the next bet would call for a wager of over $8000, well over the limit in most casinos. If the casino raised the limit to $10,000 for you, only one more failure and your over the limit once again. Using this betting system know as the Martingale, an increase (double) as you lose system, offers you a high chance of a small win and a small chance of a wipeout. D’Alembert: A simple linear system named after the eighteenth century theorist Jean le Rond d’Alembert. He believed that if a fair coin landed on heads for a long run, that tails was more probable. In the system bearing his name, you raise your bet by a fixed amount if you lose and lower it by a fixed amount if you win. It could look like this in practice, raising or lowering by one each time: bet 1, lose and bet 2, win and bet 1, lose and bet 2, lose and bet 3, lose again, bet 4, win, bet 3 ad infinitum. The final result is the same: you lose. Labouchere: Also known as the cancellation system, the Labouchere is additive in nature. A sequence of numbers, say 1,2,3,4, is chosen. The first bet is the total of the two numbers on the end, or 5 units in this example. If the bet is lost, the lost bet now becomes the last number of the new sequence,1,2,3,4,5. The next bet is now the sum of the new first and last number. In the above example, 6. If the bet is won, the first and last number in the sequence are canceled, in this case with the sequence 1,2,3,4, the 1 and 4 are canceled and, the next bet is the sum of the two non-canceled numbers, 2 and 3. If you win, you proceed to the inside numbers until they are all canceled out. Again, a loser, but an insidious one. Anti-Martingale: This system requires that you double your bets after a win instead of a loss, just the reverse of the Martingale above. There is a high probability of a small loss and a small probability of a huge win. When you lose a bet you have wiped out your wins plus one unit. Anti-D’Alembert: This system adds or subtracts a fixed sum depending on whether the previous bet was a winner or loser. It adds the sum for a winner and subtracts the sum for a loser. Anti-Labouchere: The opposite of the Labouchere system above, adding a term to the sequence after a win and canceling the last two terms of a sequence after a loss. The kinds of systems that can be invented are limited only by the imagination, with the same result, none of them work. Nothing is going to turn them into winning systems. So how do you maximize your chances of leaving the casino a winner. The first thing you have to do is put the odds in your favor. Learn how to play blackjack.